She finally made the decision to tell her husband this little secret when she was in a bit of a crisis. At that point, the pair had been together for a decade, throughout which Theresa’s secret hung like a shadow over their relationship. “I wasn’t doing anything,” Huffington Post learned from Caputo. “I didn’t want to leave the house. I would cry all the time.” Though her husband knew something was going on with Theresa, he had absolutely no way of knowing exactly what she was hiding. In a 2014 interview with Huffington Post, Caputo revealed it was years before she went public with her special psychic ability to communicate with the dead. She herself realized she could control it only after she had already become an adult. For many long years, Theresa recalled, she had struggled with inexplicable feelings. A spiritual healer named Pat Longo gave her the guidance she needed to come to terms with what was going on. She still needed to tell her husband, though. People magazine sat down with Caputo for an interview three years later, in 2017, to talk about the success of her show. During this interview, Caputo discussed what it was like to grow up with these supernatural powers. She started picking up on others’ fears from the age of four, she claims. “If somebody was nervous,” she explained, “I’d pick that up, and my heart would start pounding.” Caputo was sure she had a bad case of anxiety until she was in her 20s. 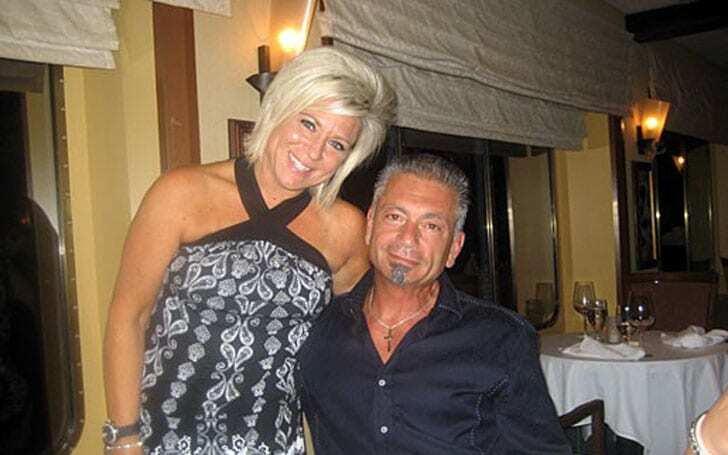 When these anxiety attacks would begin, Caputo’s husband, Larry, would do anything he could to calm her down. He quickly realized the best way to handle it after several attacks. “He would tell me to wait until the next exit because he knew that it was going to pass,” she explained. “He’d say: ‘Open up your window. Breathe.’ Then it would subside, because it would only last for 30 seconds or so. But 30 seconds feels like a lifetime when you’re in that panicked state.” Theresa had to overcome this issue. The time had come for Caputo to come clean. She needed to admit what was really behind the outbursts, for only through honesty could they work to improve their relationship. Liberating herself from the shackles of the turbulent spiritual energy affecting her, she claims, also opened lucrative business opportunities. 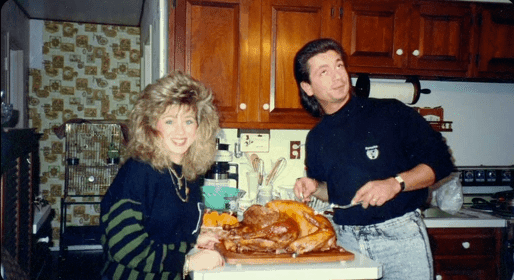 The one thing she still had to do was tell her husband and see how he would react. Despite psychic abilities, she was unable to foresee if he would believe her or not. Larry might have been okay with the fact that Theresa speaks to the dead, but that doesn’t mean he believed her at all, or at least not in the beginning. If you watch the series, you’ll notice that Theresa’s whole family is supportive of her and her abilities; however, this wasn’t always the case. Only once Larry saw Theresa’s sessions with his own eyes did he come to believe that his wife’s abilities were real. Theresa later said that he was quite impressed with the sheer quantity of information she knew about the clients. According to magicians Ron Tebo and James Randi, Theresa is right more often than not because she employs a technique known as “shotgunning.” The idea behind this is to ask vague questions to a large group of people and the alleged medium increases the likelihood he or she will get a positive response from the audience. This is comparable to horoscopes and how they seem to apply to anyone who reads them. Theresa actually has no idea who will answer, critics say. There is another problem with Caputo’s readings, say many of her biggest skeptics. According to her, messages she receives from beyond come in the form of symbols and signs. Accompanying this may be her chest contracting, for example, and she will claim this corresponds to a past heart attack or drowning. In addition, she asks those in the audience if they have a connection to any number of letters, vague signs that are then interpreted into oddly specific messages. 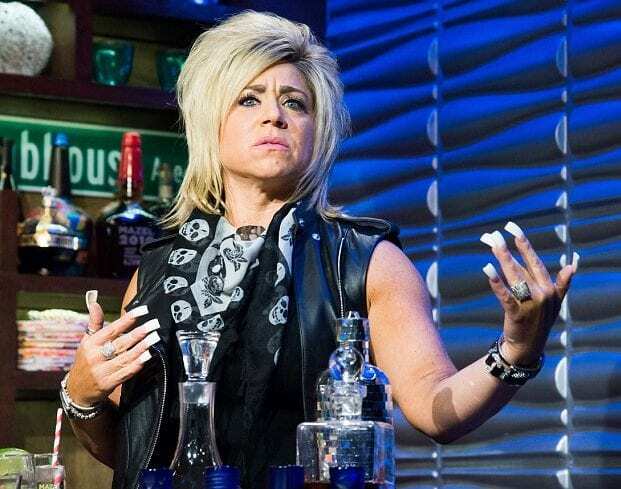 Self-proclaimed psychic Theresa Caputo has been a controversial television personality since her show, Long Island Medium, first aired on TLC in 2011. Her show has brought a fair share of followers, along with critics who claim she is a fraud. Whether you believe in her psychic abilities or not, what is certain beyond all doubt is the detriment this sort of fame can bring. Caputo’s ability to captivate audiences is impressive, but the story doesn’t end there. Fame and fortune take their toll on personal and family life, and the Caputos are no exception. 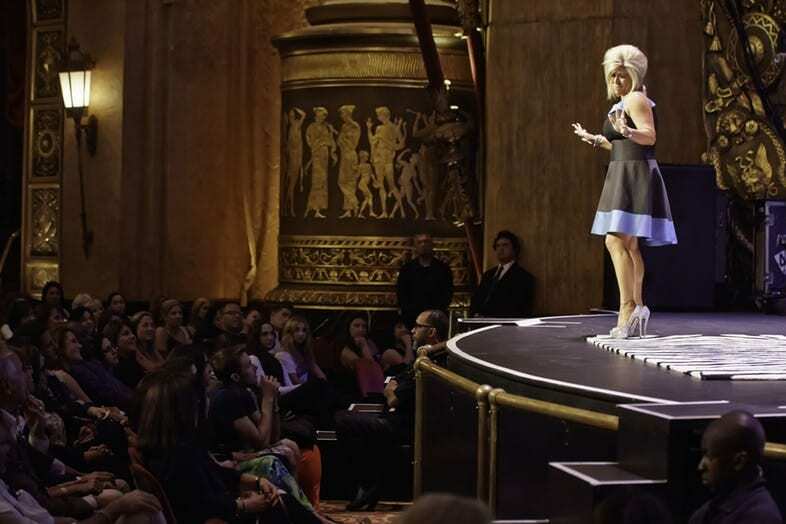 Caputo was launched to stardom after TLC green-lighted the Long Island, New York resident’s show where she demonstrated her psychic abilities. While other networks passed on the opportunity because they thought Caputo’s fast-talking New York ways wouldn’t jive well with audiences, TLC thought that Theresa was very charming, even though some warned the production company that TV programs about paranormal activity weren’t as popular as they used to be. Once viewership ratings started coming in, however, it was clear how utterly wrong they were. According to Caputo’s website, she’s so popular she was booked once for two straight years, and that’s before the show started. The vast majority of her clientele are in reality just every day people seeking closure after the tragic death of someone who was very close to them. The most important part of the work, she says, is that she’s helping people out that are in need and is making a difference. Some disagree about that, however. If you pay attention to what the dead say to Theresa, according to what she tells her audience, you’ll notice the same old positive affirmation, regardless to whom she speaks. Oddly enough, the messages are never negative from a loved one who has passed. Skeptics point out that at no point has she used her incredible abilities to solve crimes or heard past wrongdoings from the voices. To this, she replies that she channels only positive energies, but that’s hard to believe. James Randi is a retired magician who works to debunk alleged mediums and psychics claiming they are able to channel paranormal energy. He offers a million dollars to any mentalist of this sort to prove that they are actually communicating with the spirit realm in controlled conditions. Theresa has refused to accept this challenge, despite alleging there is scientific proof that backs her skills. She has made enough millions from her show, apparently. Mark Edward, former psychic, magician, and mentalist explains another technique in the employ of Caputo, one which he himself is familiar with from the industry. Every time Theresa says something wrong when she is trying to impress an audience member, Edward says, she does what he calls “piggy backing.” When she gets something wrong and the mark answers in the negative to what she says, she’ll say she was receiving information for someone else in the audience. Ostensibly, the only information Caputo receives from the audience is their first name and phone number, but the ticketing system at the venues she appears at actually asks them to divulge much more information. Her producers could conduct background checks on her clientele with much ease, allowing her much more information about their loved ones than what she allegedly has to work with. On one episode, Theresa correctly “guessed” that one client’s son loved Spongebob, but in reality, her crew had seen a poster of the cartoon character hanging in his room. 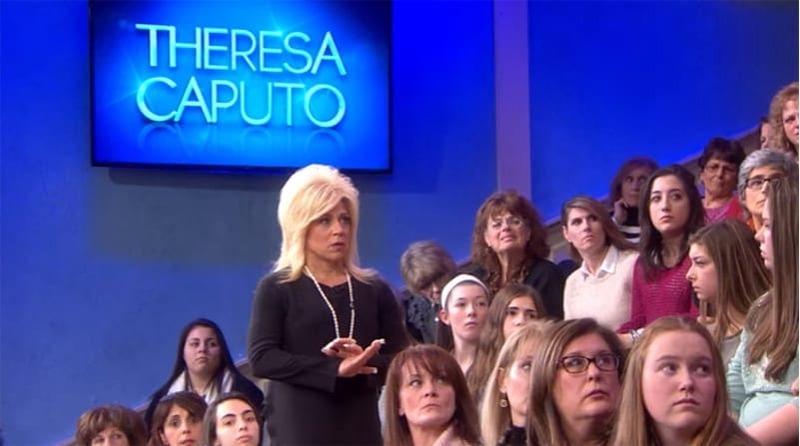 Caputo boasts a large studio audience on the show, but some skeptics suggest that tickets are given out strategically, taking into account what she knows about them. She keeps those she’s already familiar with close to her in the front rows, arranging the seating in advance. These are the people that Theresa has already spoken to and is familiar with their stories. She takes advantage of what she knows about them and their dead loved ones, not to mention other trials and tribulations that have dogged them in the past. Although she may well come off as personable and warm on TV, seemingly always trying to help and heal those who come to her for assistance, Caputo’s crew members describe an outright different person. 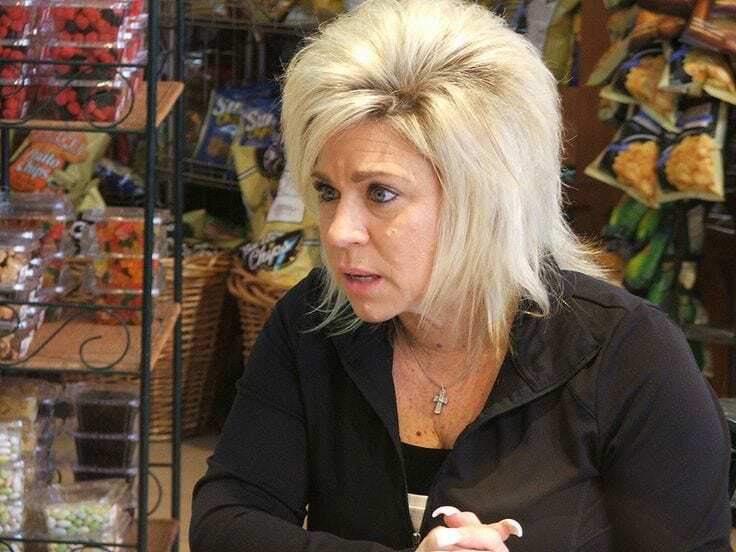 Once cameras are off, crew members reported, Theresa Caputo’s actual demeanor is anywhere from unpleasant to outright mean to those around her. In addition, they say, her expensive taste in fancy designer fashion is apparent also in hotel arrangements as she is on tour. Another applied technique of shotgun tactics is guessing until the client, frustrated, just reveals to Caputo the entire story she is trying to guess. After this, the client will get a vague positive message in solidarity, but that also encourages them to release their sorrow. “You know they love you,” Theresa will say, or “I want you to be happy.” According to Caputo, she asks her so-called spirit guides for only positive messages, but in reality, the alleged message from beyond is better described as vague and unoriginal. Caputo may seem on the ball all the time regarding her psychic readings on TV, but these live demonstrations are reportedly dishonest and inauthentic. According to one member of her live audience, “She seemed off and almost every reading was like pulling teeth to match up info. She was really grasping at straws and did a lot of ‘fishing. '” Another filed a complaint with Ticketmaster after the show, as “For the most part, readings were forced and uninspired.” Would this spell the end to Theresa’s success? Caputo told the Huffington Post in 2015 that she was surprised at the level of popularity her show enjoyed. “I thought I was going to film a couple of shows and I would go on with my life. I didn’t think I would be touring on a tour bus doing live shows every night and changing thousands of peoples’ lives.” Theresa adjusted to the new fame and fortune in a very comfortable manner, if her glamorous habits are anything to go by. 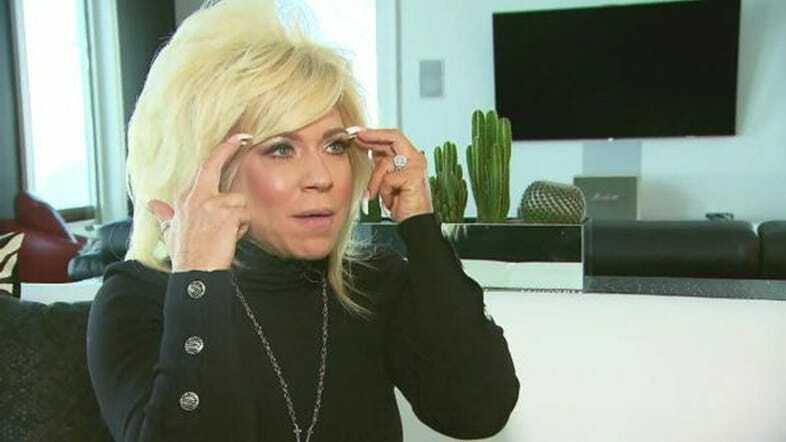 Although many of the rich and famous have been won over by Caputo, many more still remain unconvinced that she actually has any psychic abilities at all. Some, like Andy Cohen and Anderson Cooper, for example, have interviewed her. Cohen had her on his program on Bravo, where she was supposed to channel Liam Neeson’s late wife, Natasha Richardson. Cohen said Theresa’s comments during the reading “were offensively incorrect.” For his part, Cooper also remained skeptical. “I want to see actual proof,” he said. 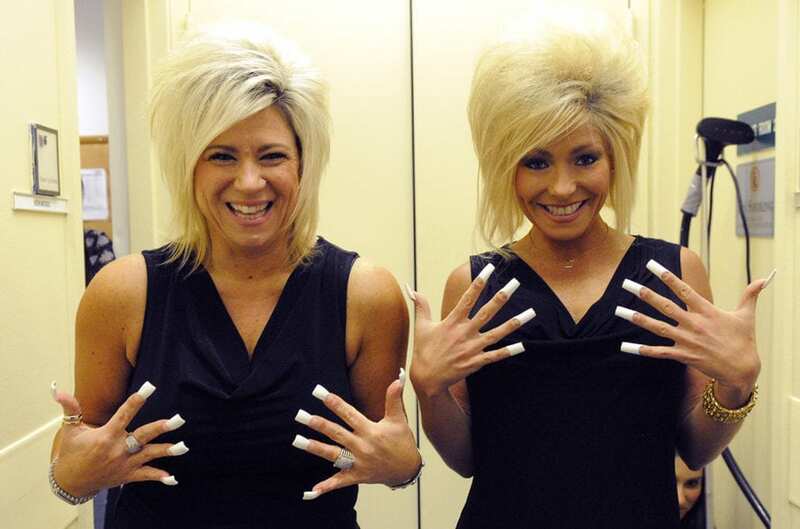 Theresa has a default formula she uses to do her readings on Long Island Medium. If her readings were actually unique to each individual, many opined, the setup would be different from person to person. This is not true, however, and Theresa follows a stable modus operandi that never undergoes any changes, regardless of which spirit she is attempting to communicate with at a given time. The formula remains the same, even in the ostensibly random readings that she conducts in public with passersby. Cold reading goes beyond someone’s external appearance, as far as educated guesses go. Expert myth busters who make a living debunking claims of mediumship and psychic abilities explain that Theresa’s guesses appear to be geared toward an individual, even though they aren’t. Caputo mentions events that seem specific and detailed to the untrained ear, like a scar on the knee or a near drowning as a child, but in reality, such ostensibly unique life events are common to much of the population and odds she will be right are high. 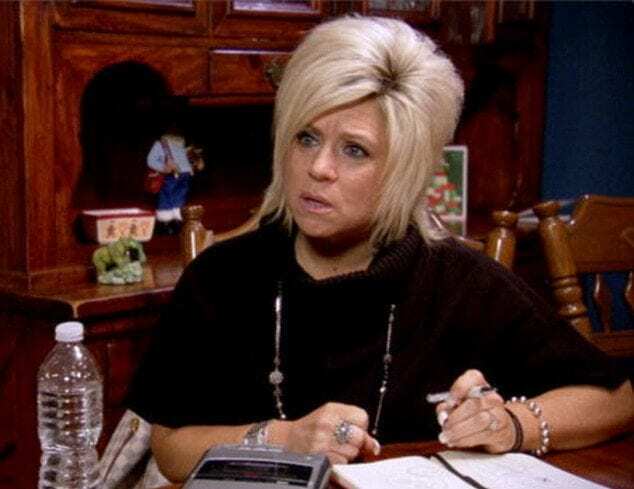 Other skeptics point out that Theresa Caputo never discussed being a psychic, mentalist, or a medium until right before winning a programming slot on TLC. Even close friends have said that they believe her to be a “talented actress,” but that she never shared the fact she was communicating with the spirit realm, even in her childhood. Some concede that this is because there is a stigma surrounding those who claim to have psychic abilities, but still others assert that this lack of evidence suggests she is a fake. Following the fiery backlash she has endured from detractors, Theresa started claiming she had had a brain scan that proves her abilities to be a medium between the spirit world and our own. She spoke about this on Fox & Friends, saying “ They did find that I do access a part of my brain that we typically don’t and that my brain actually goes blank. It’s almost like it flat lines. Like, it’s clear as I’m channeling.” Although this would quiet much of the criticism skeptics hurl at her, she has yet to provide these brain scans. Many magicians who perform onstage, such as Ron Tebo and James Randi, have pointed out that Caputo employs certain mentalist techniques to pull information out of overly eager clients — the perfect marks for confidence artists. These techniques include “cold reading,” a method to read small, involuntary ticks made by the client. People skilled in cold reading are able to glean information from a given subject by making a quick analysis of clothing, speech, and other physical cues. There is also a steadily increasing number of people who have reported disillusionment after seeing Caputo live. A Long Island Press reporter published her own story of when she was in the audience for a live show. According to the reporter’s testimony, Caputo is able to impress with her big hair and fancy fashion sense, but it’s actually all an act. Once she went around speaking to individuals whom Theresa had spoken to, the reporter discovered the alleged medium guessed information completely incorrectly very frequently. 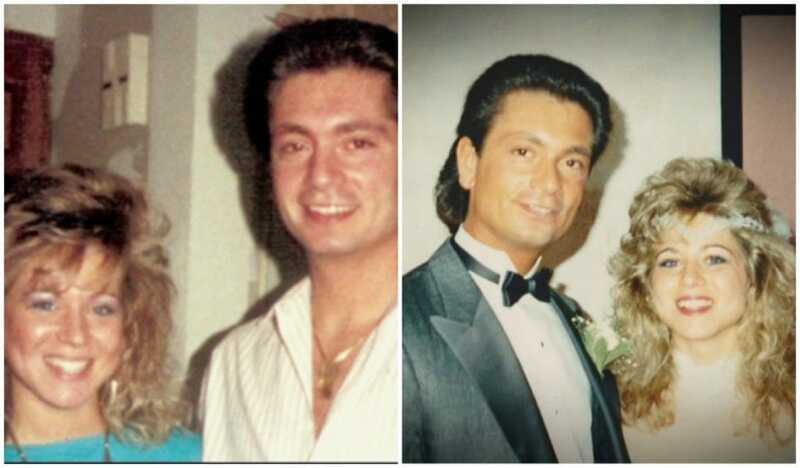 During the interview in which she spoke about her estrangement from her husband, Caputo divulged that she herself was skeptical that what she was feeling was indeed a connection to the spirit realm. “I was a skeptic, like a lot of people are, until you witness it,” she revealed. Although she claims that she suffered for years, suspiciously no doctor had ever diagnosed anything wrong with her. Coming clean and telling others she had this gift removed the demons of her past, allegedly, but many claim these stories are all part of the show. Theresa has faced some serious flak since she disclosed her alleged abilities to the public. Most of the issues center around Caputo’s methods during her readings, which have been called into question by many, even though private clients and audiences appear to always be very impressed with what she knows about them and their lives. The signs and feelings she says she receives from spiritual energy may well have an alternative explanation that originates in the temporal world, not the spiritual. 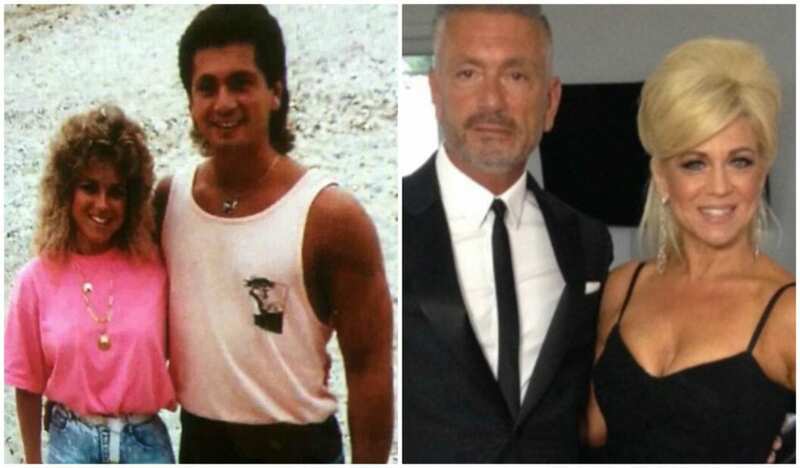 In the wake of the statements that both of the Caputos released regarding their marital issues, it wasn’t so much of a surprise when the pair announced they had made the difficult decision to divorce in a statement. “After 28 years of marriage,” it said, “we have decided to legally separate. We will always love each other and our two wonderful children. We are united in supporting each other and our family. Please respect our privacy during this time.” It is unclear yet whether Theresa would continue the show as usual or take time off. Something had changed between them, according to Theresa, but that’s all she would reveal. Larry, on the other hand, demonstrated a well-formed understanding of what had happened and was surprisingly open. 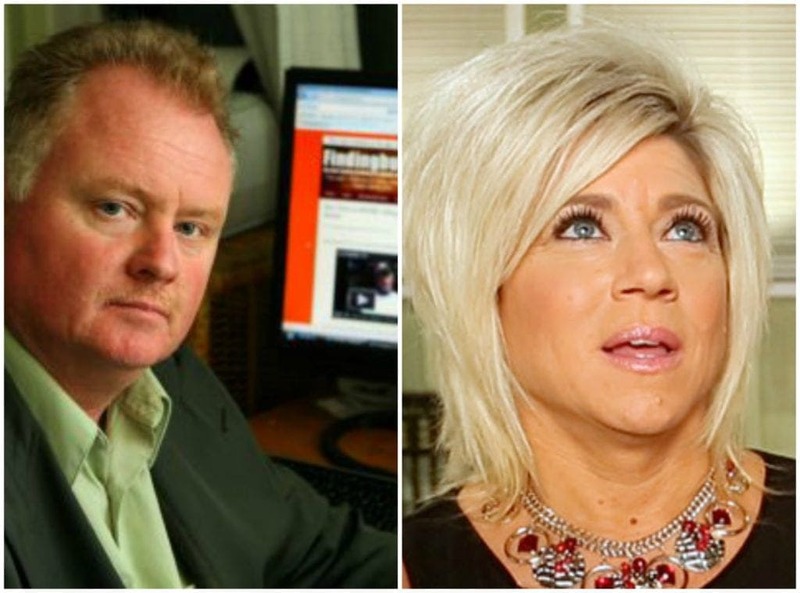 On one episode of Long Island Medium, he said, “We’re having a difficult time. I think a lot of the frustration has to do with us not spending the time together anymore. Along with that comes the lack of communication, so it’s like losing your best friend. It’s hard.” So, what do you think, did Theresa foresee their break up?